Harry (Post 16) attended a royal reception in the state rooms at St. James Palace, London during October half term. 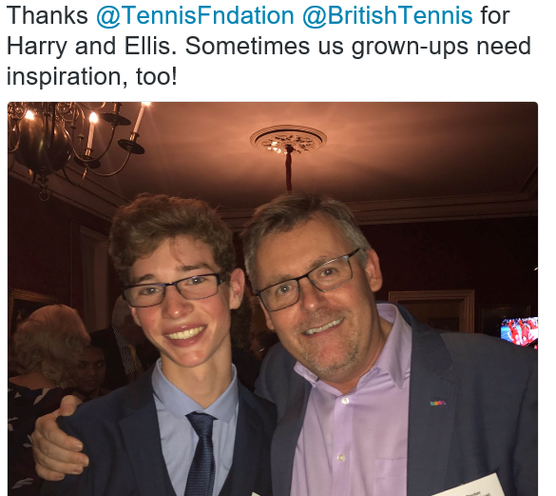 Harry spoke inspirationally in front of the Duchess of Gloucester and an audience of over 100 people about the impact the Beyond the Baseline tennis project has had upon him. 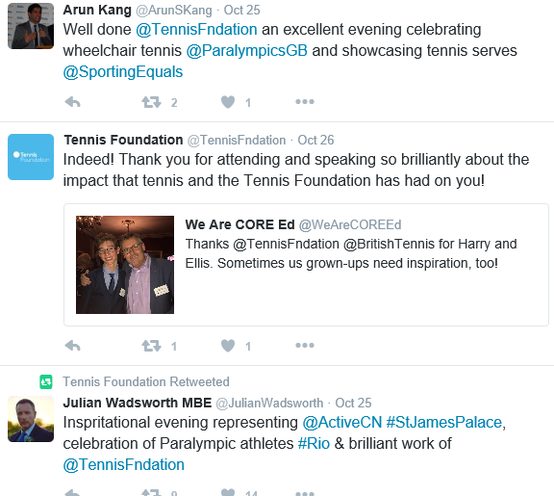 Harry was speaking at a special event to celebrate the most successful Paralympic Games ever for GB and The Tennis Foundation in Rio 2016. 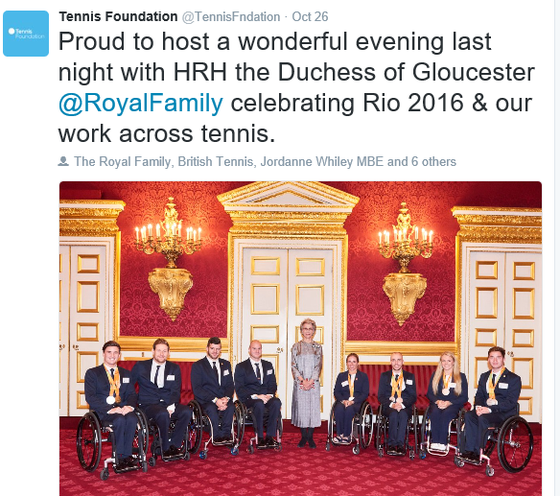 These included mentors and pupils from secondary school programme, Beyond the Baseline, and activators and teenagers from SERVES, an initiative which takes tennis into communities that may never had had the chance to play with pop up equipment in youth clubs and faith centres across the country. Harry made a real impact on everyone at the reception.